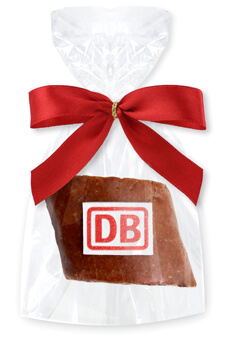 Our Magenbrot is a German ginger bread speciality. 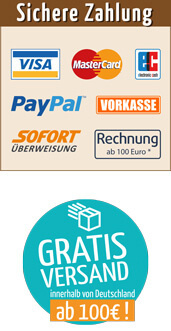 Perfect as a sweet gift for customers, business partners and employees. 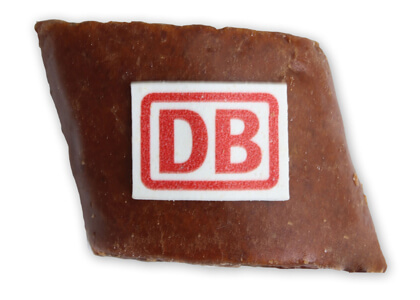 Each Magenbrot Cookie is single packed and can be branded with your logo. The extra high quality makes our delicious Magenbrot Cookies to a taste experience of a special kind. Wheat flour, glucose-fructose syrup, sugar, candied orange peel (orange peel, glucose-fructose syrup, sugar), apple extract, caramel sugar syrup, low-fat cocoa powder, sunflower oil, raising agent: sodium bicarbonate; Spices, Aroma, Salt, Humectants: Glycerin.